In many global cities, urban greening interventions are widely praised by public officials, planners, and investors for their benefits on health and the environment. Indeed, recent research shows that high residential exposure to green space is associated with an 8% lower risk of mortality, and contact with the natural environment results in lower stress levels and better mental health. But research also shows that it is mostly privileged residents who are reaping those benefits, while lower-income and minority communities suffer the consequences of gentrification and displacement. If green cities only improve the health of a few, are they really healthier for society overall? Across the United States and Europe, projects such as the BeltLine in Atlanta, the Rose Kennedy Greenway in Boston, the Riverbanks Project in Portland, the Bosco Verticale in Milan, or the Jardin de la Rambla de Sants in Barcelona all have in common the re-naturalization of urban spaces to create the new green, resilient, smart, and sustainable city. But this new planning mantra often overlooks social equity ramifications and the resulting negative effects on mental health. Our own research at BCNUEJ reveals that many larger scale green interventions often hide inequitable outcomes. One of the most frequently cited projects for its negative social impacts has been the High Line project in New York City. The elevated park, visited by 5 million people a year, has attracted white and higher-income residents and visitors and failed to provide health benefits to long-term residents. Housing developments like Zaha Hadid’s $50M studio penthouses have contributed to acute property price and rent hikes, pushing out vulnerable residents and business owners and triggering new health impacts, such as increased stress, depression symptoms, and anxiety – all linked to displacement. 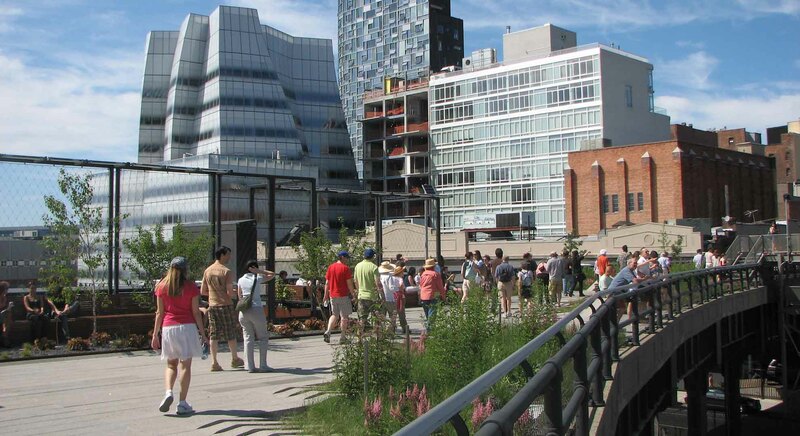 Other US cities have opted to learn from the High Line’s mistakes. Washington D.C.’s future 11th Street Bridge Park, for example, is being explicitly planned with the goal of preserving the neighbourhood identity, creating new social ties, promoting physical activity, and lowering isolation and stress while keeping housing costs down through a land trust scheme. Yet the prevailing trend towards gentrification continues. In Boston, a city with acute climate adaptation needs linked to sea-level rise and flooding, green spaces and infrastructure planning seems to prioritize environmental resilience over concerns of affordable housing, anti-speculation, and health benefits. Cities in the global South are also experiencing similar side effects. 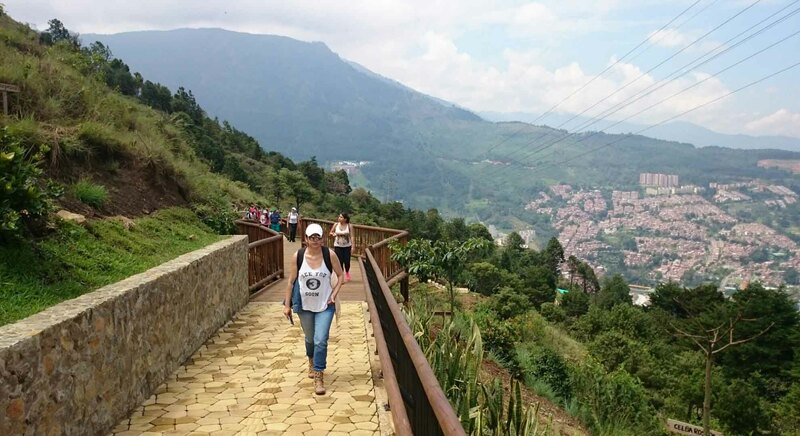 In Medellin, the creation of a greenbelt—the Cinturón Verde—aimed at curbing unchecked growth, beautifying and building resilience is creating landscapes of pleasure and privilege for new visitors in self-built settlements. New high-income developments with newly protected green spaces and areas are pushing out long-time, low-income settlers whose gardens, essential for food security and nutrition, are being moved or removed due to risk and undesirability. Despite being named the most innovative city in the world in 2013 by Urban Land Institute, the city has been unable to address these kinds of inequities in the application of land use regulations. In Europe, Barcelona has long struggled to provide high-quality green spaces for urban residents living in a dense, concrete-ridden city. During the 1990s and 2000s, parks such as the Parc Central de Poble Nou or the Parc Central de Nou Barris were built in historically underserved areas with clear physical and mental health benefits in mind. But a recent study carried out by our lab has revealed green gentrification trends in some of the neighbourhoods where those parks were built, attracting mostly higher-educated residents. 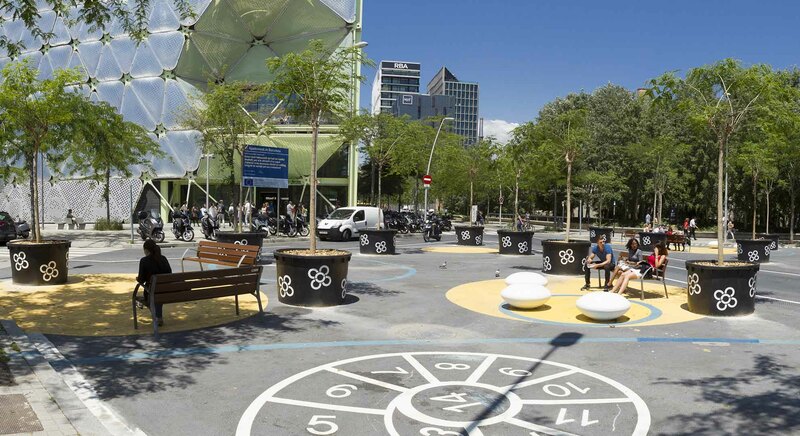 Now, fifteen years later, the City of Barcelona is planning Superblocks as a way of improving health by reducing traffic and air pollution, but also addressing real estate speculation and enforcing housing rights around the superblocks and beyond. 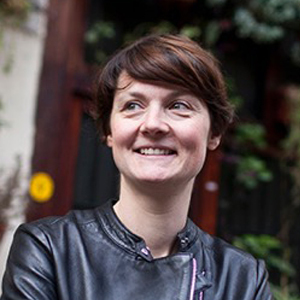 The examples cited here are meant to encourage cross-sectoral, multi-scale, and territorially-grounded discussions and planning efforts to ensure that the long-term health and environmental benefits of greening remain a universal right for all residents rather than a source of new green privilege. Planners, architects and designers must leave behind a widespread logic and practice of competitive, speculative urbanism which seems often more concerned with city branding than with attending the needs of all of its residents. Hopeful initiatives here include Barcelona’s social housing quotas and move to turn unoccupied bank-repossessed properties into affordable housing, Philadelphia’s Land Bank vacant lot scheme designed to “preserve and enhance affordability.” Cities need genuine cooperation between public entities and institutions from different professions and disciplines, along with private businesses and investors to ensure the creation of health urban green spaces that are also equitable and accessible to all.